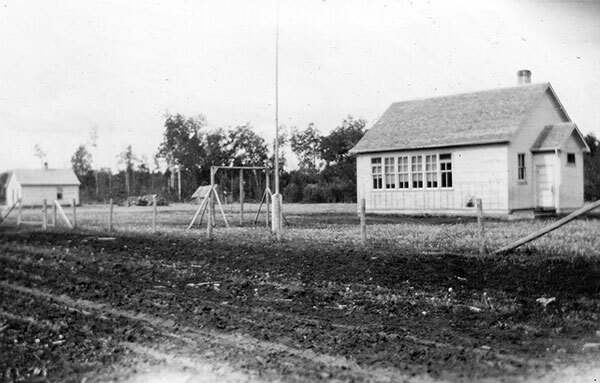 The Red Deer School District was established formally in March 1918 and a one-room schoolhouse operated at NE27-15-9E in the Rural Municipality of Lac du Bonnet. The district was dissolved in 1967 and its catchment area became part of the Lac du Bonnet Consolidated School District and later the Agassiz School Division. Lac du Bonnet topographic map, 62I/8, Edition 2, Series A743 [Archives of Manitoba].